One F310 Keypad with a $22 discount! Up to 2) RB741 remotes with a 50% discount on each! One 50 foot exit wand with a $5 discount. 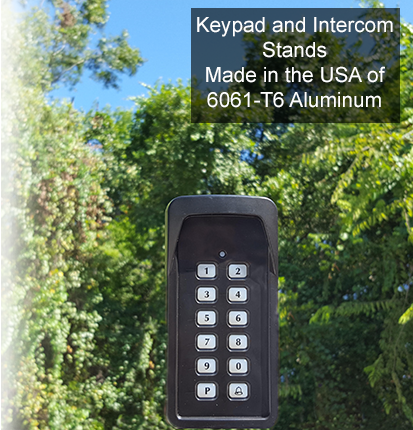 One F3100 Keypad/Intercom with a $60 discount. The GTO/PRO SW4002XLS is the easy to install larger size of the two heavier duty gate openers made by GTO, inc . Weight and length:Up to 20 ft. in length OR 1000 lbs. Gate Post or Column size (pull to open ): Max 24" x 24" post or gate mounted 12" from the rear face of a column . Push to Open :Yes (longer bracket may be needed in some situations* bracket can be purchased separately) - setback above does not apply to push to open . An exciting time in the world of gate openers. GTO/PRO has released a new PRO-SW3000 series of gate openers, the PRO-SW4000XLS series. The XLS series has a number of improvements over its predecessor including a 10% increase in the operating speed. The XLS series also contains a new rev-counter board with reed switch technology, which helps the gate opener determine its position. In addition, the XLS series includes an improved front mount and scraper seal design. Unfortunately, the new XLS series control boards and arms are not cross compatable with the XL series. So, if you purchase an XLS arm for your XL control board, they will not work together. The PRO SW4002XLS Dual Opener can be used in most heavy residential or light commercial applications including automating gates made of farm tubing, steel, aluminum, wood, and chain link, along with many other gate types. This opener can be set on the left or right and is used in the standard pull-to-open operation. By using the same bracket accessory the PRO SW4002XLS can be used to push the gate open away from the property with the arms still mounted on the inside. The PRO SW4002XLS single Opener is made with longevity and compatibility in mind. 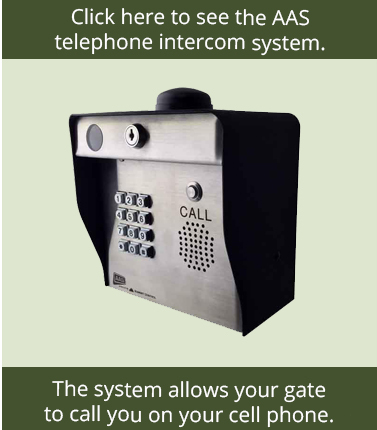 It can be used with GTO inc.'s complete line of accessories including keypads, transmitters, exit wands, gate locks, solar panels, and more. Standard Bracket is for post applications on smaller, light weight gates (max weight 650 lbs per leaf). Column Mount Bracket is for gates that are hinged to a column (max weight 650 lbs per leaf). Heavy Duty Bracket is for larger or heavier gates (max weight 1,000 lbs per leaf). *In Some Situations: The bracket that comes with the PRO 4002XLS is 10" long. Depending on where you can position the brackets that are attaching the 10" bracket to the post or column and the position of the hinge a longer bracket may be needed to give the opener arm 2" of clearance in the open position. Rear face of a column: Most gates are mounted on the inside face of the column, the side facing the driveway, and then you mount your gate opener on the rear face of the column, the side facing the inside of the property. The important distance in terms of mounting your gate opener is the distance from the hinge of the gate to the back face of the column. 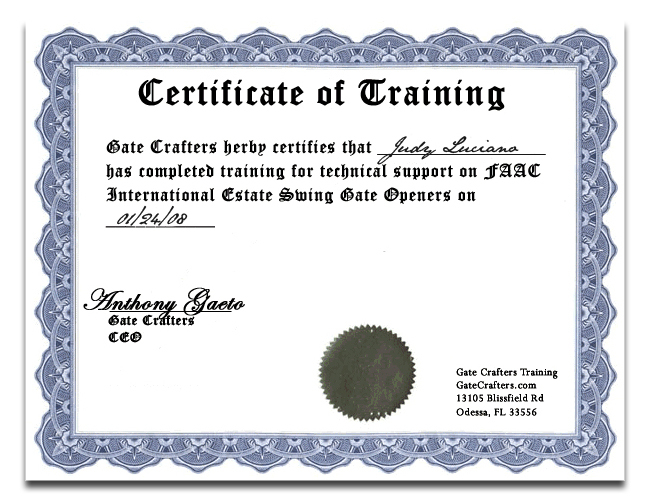 Soft Start/Soft Stop - Soft start/soft stop is a feature in which the control board, during the set up process, learns where your opening and closing points are for the swing of the gate. Then during normal operation the gate operator automatically slows the motion of the gate to smoothly meet with the gates destination point. This feature can also be turned off. 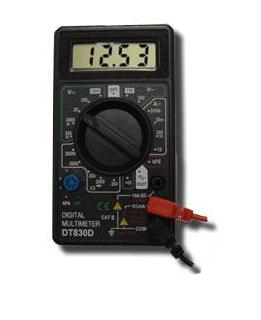 Closing Timer - Set your gate to close between 0 and 100 seconds after reaching the full open position or turn this option off to leave it open until an entry device activates closing motion. Learn Mode - With the GTO/PRO 4002XLS the learning process, the end points are determined by the user via remote. A simple press of the transmitter tells the opener where to stop and when the opener is set to the desired stop points, save the settings on the board. Oversized Control Box Housing - The GTO/PRO 4002XLS oversized control box can house (2) 7 amp/hour batteries and is rated for outdoor use (only one is included with purchase). It is resistant to high winds, sand, dust, rain, snow, sleet, and freezing water, protecting your valuable control board from the elements and your battery from corrosion. 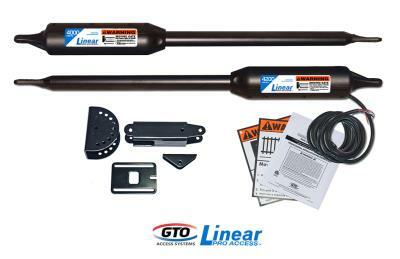 Open End Wrenches - 3/8", 7/16", 1/2" and 9/16"
"The PRO SW4002 has longer arms than the GTO/Pro SW3002XLS. Featuring true soft start and stop, the PRO SW4002 helps to preserve the life of the gate and opener arm itself. When your gate approaches its endpoints the opener will slow the momentum of the gate to meet with the positive stops. Another advantage of the PRO SW4002 is the oversized control box. GTO listened attentively to the wishes of their installers and answered with their new design. Installers many times wish to use an extra battery for larger number of cycles, extra power storage for solar, or battery assistance in extreme cold weather. The new control box design has an extra storage space built in for a second battery. With GTO products you get factory support during business hours. 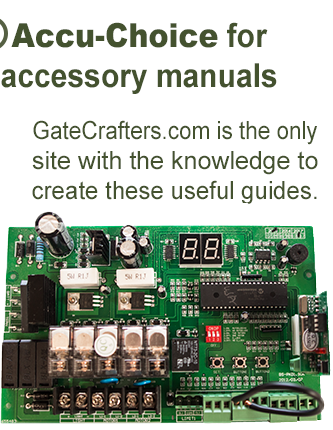 When purchased through GateCrafters.com however, you get installation or technical support 9am - 9pm 7 days / week. 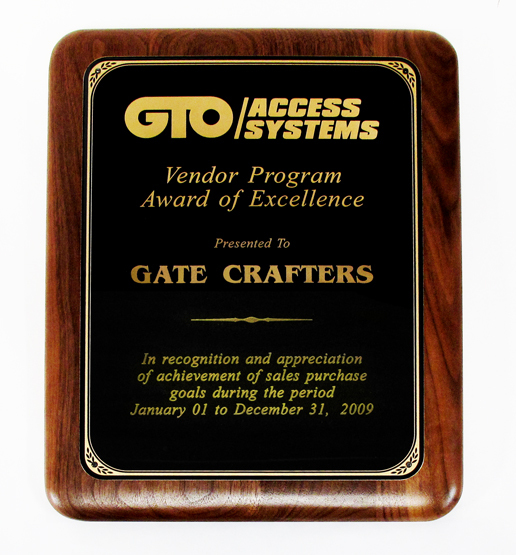 Gate Crafters has years of experience with GTO inc. openers as well as many other brands and accessories and is readily available 7 days a week. As part of one of GateCrafters.com's constant quality checks and knowledge updates. I personally go to visit the factories in which the products we sell are made. I made 6 visits to the GTO Inc. US facility, most recently in Februrary 2009. 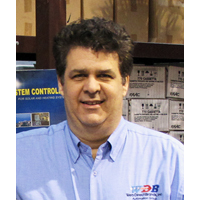 My visits accumulated a considerable period of time visiting because they were not only to tour the facility and meet employees, but also for authorized factory training. 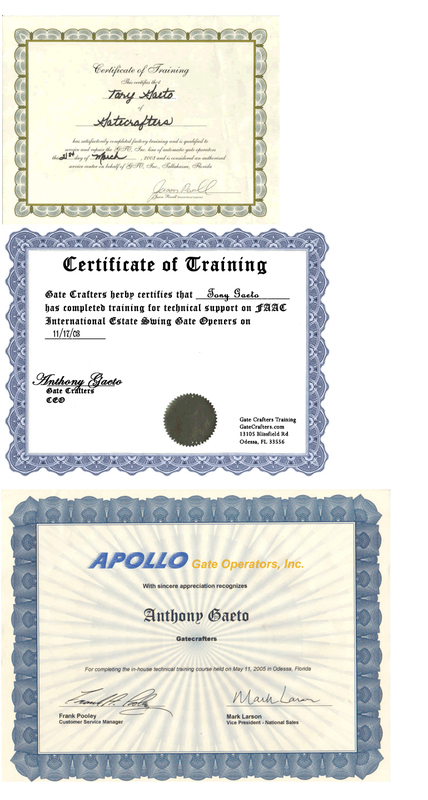 During training I received a certificate (Click here to view) and a score of 100% on the Factory Certified training exam.